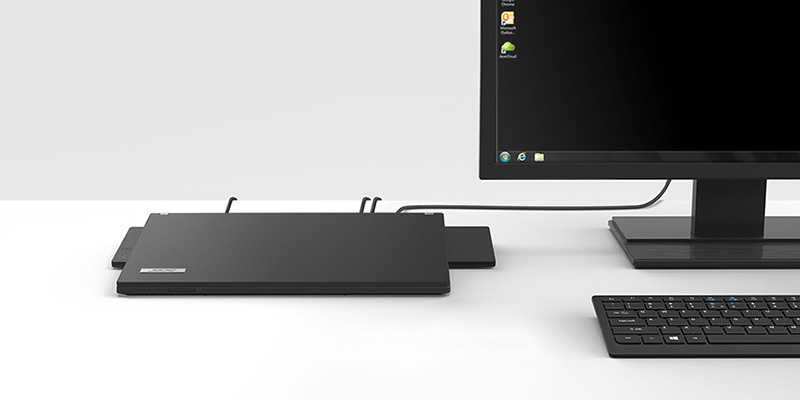 The Acer ProDock docking station easily resolves expandability limitations and helps keep things organized. A flexible working environment is made possible with the expansion of a large screen, full size keyboard, and mouse. With the smart design of the Acer ProDock, switching between multiple work environments is easier and faster. The Acer TravelMate P6 requires less space than the average 14-inch laptop but still offers an 13-inch screen space. It may be compact, but the viewing experience is never compromised. Every detail is precisely measured and arranged, offering a perfect balance of aesthetics and efficiency. Acer DustDefender is a self- cleaning system that expels dust before it accumulates on the thermal module, helping maintain optimal performance. Acer DASP (Disk Anti-Shock Protection) is a system construct from various shock absorbing materials and keeps your hard drive completely protected. On the removable hard disk door, the DASP lining is precisely placed for maximum protection from outside forces. On the inside, a robust rubber cage surrounds the hard disk and provides and additional layer of protection. TravelMate P648 is constructed out of an advanced material from top to bottom. The LCD cover is made from carbon fiber to provide exceptional strength. Along with the magnesium alloy chassis, TravelMate P648 is a light-weight and durable companion for work on the go. A simple answer to a sophisticated world.